Social media has become a ubiquitous medium for individuals and companies alike. As of 2017, 81 percent of Americans and more than three billion people worldwide have at least one social media profile. Despite social media’s widespread usage, its ROI remains difficult for marketers to pinpoint. Whether it’s Facebook, Instagram, Twitter, or Snapchat, different social media platforms can be essential parts of customer outreach. The key is to determine which of those avenues is most beneficial for your company. But determining the best social media marketing path to take is no easy feat. Simply Measured found in its 2017 State of Social Marketing Report that marketers’ top concern with social media is ROI; as of 2017, about 65 percent of social media teams were housed within their companies’ marketing departments—teams already tasked with justifying ROI at every turn. And even if a company has identified Instagram, for example, as the best social media platform for reaching its target audience, it can be difficult to keep up with the ROI of posts made by an in-house expert. That difficulty increases when marketers team up with social media influencers. Yet more and more marketers are choosing to collaborate with brand ambassadors, a subgroup of influencers known for consistent brand loyalty, and that’s forcing them to define new KPIs and success metrics, including engagement velocity and rate. 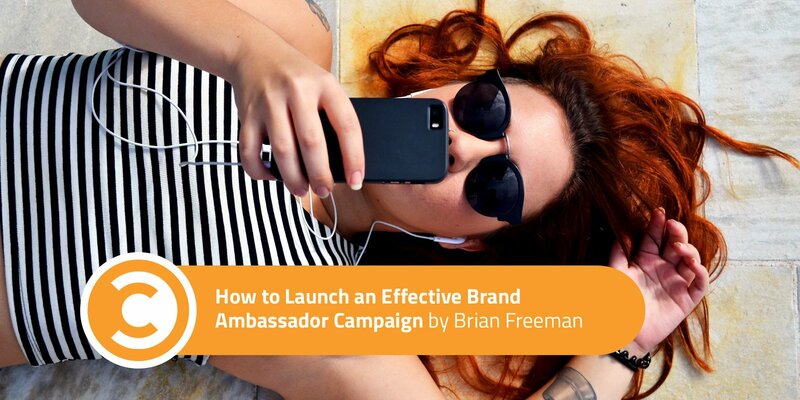 Failing to measure the effectiveness of brand ambassador campaigns is not an option. It’s a vicious cycle: Poor measurement makes a campaign ineffective because you don’t know whether you’re allocating resources wisely. And if you don’t know what’s going on with a campaign, there’s no way for you to change it for the better. Many digital tools are capable of linking companies with influencers, but only a few—Assembly, for one—are equipped to track those influencers’ results. Find a platform that allows you to keep up with the ambassadors you’re working with, see who they’re engaging with, and track what results they’re driving in real time. Our team uses technology that lets us see the demographics of our ambassadors, and it has been crucial for our decision-making. Whatever methods you use, make sure you are fully in tune with your ambassadors, their likes, and their interests. This step doesn’t have to involve sophisticated software; it could mean using Typeform or MailChimp to have people identify basic information about themselves when they join your network. The ambassadors you link with your company should belong to the same demographic, both in terms of age and geography, as your target audience. First identify the type of customer to whom you’re marketing by sifting through your advertising and acquisition analytics. Then, use those same search criteria when finding brand ambassadors. The founder of OPTIM-EYEZ, Sam Hurley, cites misaligned expectations—including confusion about ambassadors’ audiences—as a common hurdle a brand must overcome before starting an ambassador campaign. He says brands often fail to do enough research, asking ambassadors in marketing to promote travel programs, for example. But with research into the ambassadors and their demographics and a dedication to building long-term relationships, Hurley has seen great results from these partnerships. As nice as it would be for ambassadors to join forces with your company for the fun of it, people need to know what they’re reaping from a partnership. Establish a reward system, and keep it simple. A points framework works for something like a credit card, but that won’t fly for ambassador partnerships. Your reward system needs to match your audience. If you have a yogurt company, for example, nobody will be on board with jumping through a set of hoops for yogurt points. Don’t be cheap if you want people to be interested; the rewards need to make participation in your program worth it. TheSkimm has excelled at developing a reward system that resonates with its partners. Within three years, the company expanded its email list to one million subscribers and its Facebook network to more than 12,000 ambassadors. The reward system has levels that come with various points and rewards for adding people to the network, essentially gamifying the expansion of its readership. There are only so many actions you can ask ambassadors to encourage their audiences to take, but that doesn’t mean your calls to action aren’t important. Once you’ve gotten a prospect to take one action, that person has bought in to a certain degree. That makes him or her much more likely to take a second action, and a third, and a fourth. Focus on achieving that first action—but don’t make that first step simply to “like” your company on Facebook. It’s a worthless step. Instead, focus on getting prospects to join a Facebook group or invite friends into your system to receive a reward. It’s a bigger leap to ask of someone than liking a page, but a freebie can sweeten the deal. Keep some sort of referral system going to ensure that your audience, and therefore your email list, is developing consistently. MailChimp is a perfect startup solution for this. It allows you to regularly communicate with your audience as well as mention your brand ambassador program with a specific action item for engagement. Given the increasing emphasis on social media for business purposes, marketers need to innovate. Collaborating with brand ambassadors and influencers is no longer an outlier among marketing tactics. But just like other marketing techniques, brand ambassador campaigns must have measured ROI to be effective. Use these three techniques to ensure you’re making the most of your partnerships.